Lethe Press’s Wilde Stories has always reminded me of the Pan horror series from Britain I loved as an early teen. This review occasioned me to Google the very first Pan volume, coming across names and stories I hadn’t thought of in years, including George Fielding Eliot’s “The Copper Bowl,” a delicious torture tale about a copper bowl with spiced meat, restraints, and a hungry rat who eats his way through a traitor’s lover. That one alone provided me with some nasty dreams for weeks. The stories in the latest Wilde Stories volume are just as interesting and far-reaching as the Pan classics, and even though the tales are short on rats, they’ll still lead you to some fascinating places. The first stop is Steve Carr’s “The Tale of the Costume Maker,” a glittery little story that demonstrates the value of keeping some treasures to yourself. This leads into “Das Steingeschopf,” G.V. Anderson’s well-built tale of a carver and restorer of living sculpture and the ancient creation he encounters. Matthew Cheney then parts from conventional narrative with “Where’s the Rest of Me?”, his alternate-world tale of Ronald Reagan and his lover, Alejandro, each short chapter titled by a Reagan film. And, yes, Nancy’s there too. But Ronnie’s not the only celebrity here. Historical figures play central parts in many of these stories, from Alan Turing obsessing over an automaton of three Oscar Wildes (Eric Schaller’s “Turing Test”) to the delightful Americana-gone-weird Johnny Appleseed/Paul Bunyan mash-up, “The Death of Paul Bunyan.” As if those mythical figures weren’t enough, ‘Nathan Burgoine’s “Frost” provides a lovely, fairytale origin story for Jack Frost. Sam J. Miller, however, corners the mythical figure market with “Angel, Monster, Man,” his brilliantly conceived and well-executed story of Tom Minniq, the pseudonym of three men living through the AIDS epidemic who have inherited a wealth of unpublished and unseen art from their dead and dying friends–those lost voices of a generation we often lament. Minniq becomes the voice of those men until one of the three actually meets him in the flesh. From there on, we join in a different reality that becomes a little more different every day of the T—p era. The barbs in this story are sharp, and you won’t know you’ve bled out until the last word. Of all the places Wilde Stories took me, though, none affected me more than the Tongass National Forest in southeastern Alaska, where Mathew Scaletta spins “The Sound a Raven Makes,” a bleakly romantic story about Ash and JB, two men who make their living butchering the sasquatch hunted by the tourist trade. This story is rooted in all things Alaskan, especially hidden dangers. The images of the illegally taken baby sasquatch as well piles of squatch arms and legs will stay with me long after I finish writing this. But mostly, this story reflects the environmental and societal changes the region faces as well as providing one shining silver bullet of hope. Or is it despair? 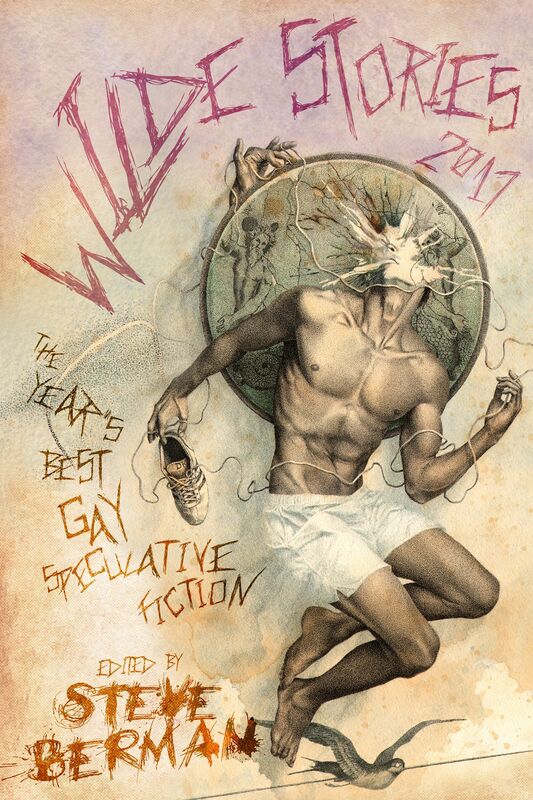 Wilde Stories 2017, then, keeps up the Pan tradition as well as its own by being our yearly touchstone with the fantastical and the horrific. Truly the year’s best and highly recommended. You all know I love Out in Print, but this was extra-lovely to wake up to.